The mobile industry is impossible to ignore. In recent years, its wide reach and rapid growth has helped it to infiltrate almost every other global industry, and it shows no signs of stopping. Forecasts predict that 71% of the world’s population will be using mobile phones by 2025, and 61% of people will be using their mobiles to access the internet – revolutionising the way we live. Asia is at the forefront of this change. Four of the top ten countries with the most smartphone users in the world are in Asia and, according to data from Statista, the Asian mobile market will be worth $41.5 billion by 2019. For companies working within the region, then, it is vital to understand more about this influential industry. 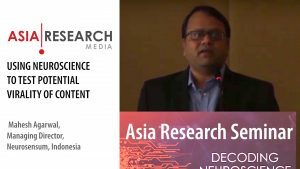 Rohit Dadwal, managing director of the Mobile Marketing Association for Asia Pacific, has called the Asian mobile market “the most exciting market” in the world. This is because of the astonishing amount of growth in the region, and the willingness of consumers to try out new mobile technologies. In contrast with Western countries such as the UK and the USA, where desktop usage significantly outweighs mobile in terms of market share, in Asia it is mobile that leads the way, with nearly 70% of the market share compared to desktop’s 30%. This is supported by data published by GMO Research, which surveyed four major Asian markets (China, Japan, Indonesia, and the Philippines) and found that the number one activity on mobile phones across all these markets is surfing the internet. For companies looking for a large and engaged audience on which to test out new mobile experiences, therefore, Asian markets seem to be the logical choice. The top five biggest smartphone markets in Asia are China (783mn smartphone users), India (375mn), Indonesia (73mn), Japan (70mn), and the Philippines (48mn). But despite the enormous number of users, these markets are far from saturated: China and Japan have the highest penetration rates, but they still only account for 55% of the total population. This means there is plenty of room to grow, and mobile companies are keen to be part of that expanding market. The GMO Research survey revealed the mobile companies making the biggest waves in their four major mobile markets – and most of them are global brands. In Indonesia and the Philippines, Samsung dominates, while in China and Japan, it’s Apple that’s at the forefront, and Sony also has a presence. The global brands were frequently voted top for qualities such as innovation and reliability, but there’s one area in which local companies can gain a foothold: value. 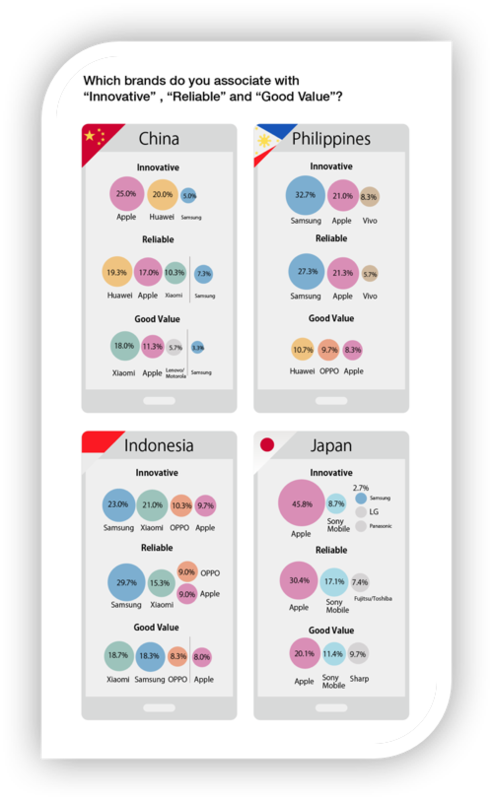 In the GMO survey, regional favorites Xiaomi (Indonesia) and Huawei (China) ranked highest for value and reliability respectively, in those countries. This shows that there is still a need for local players in the Asian markets. According to Todd Guild of global management consulting firm McKinsey & Company, “In Asia’s high-growth markets, [global] companies face intense competition from low-cost local players … To meet the challenge, global companies will have to organize themselves regionally to coordinate strategy and use resources in the most efficient way while at the same time targeting the tastes of consumers on a very local level.” This could be a good rule of thumb for any company wishing to make an impact in an Asian market. So what makes a mobile company popular among consumers? 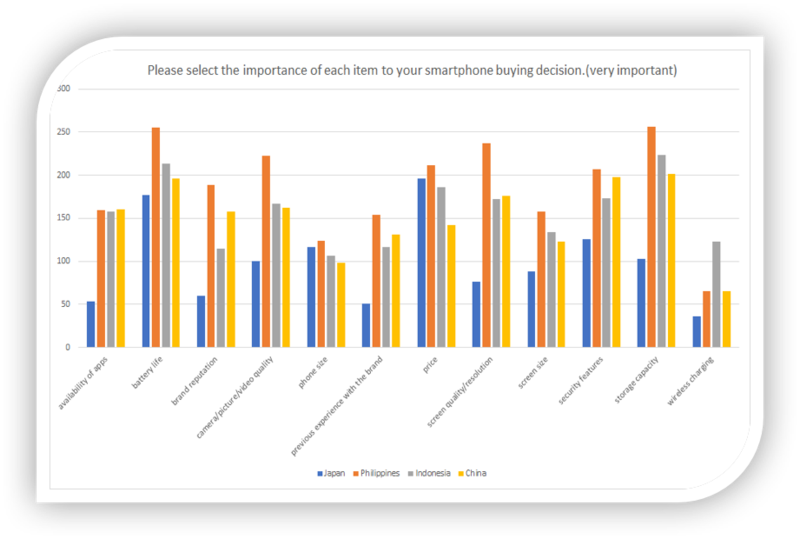 GMO’s survey found interesting regional differences in the factors Asian shoppers consider when purchasing a smartphone. In Indonesia, China, and the Philippines, the most important considerations were battery life and storage capacity, while in Japan, price was ranked as the top consideration. This puts Japan more on par with the UK, where price is also the number one consideration when buying a smartphone. For all the countries surveyed, brand loyalty scored relatively low, which seems to be a general trend for the APAC region. 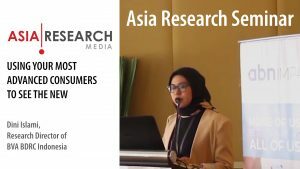 Research by Think with Google and IPSOS agrees: they found that a significant majority of consumers in Asian countries (e.g. 96% in Japan) aren’t completely certain which brand they will buy when they set out to get a new mobile. This may speak to a wider truth about Asian markets, and provide a valuable lesson to companies of all kinds operating in the region: make sure your product or service is present across all stages of the consumer journey, because consumers may be willing to switch brands at any time. 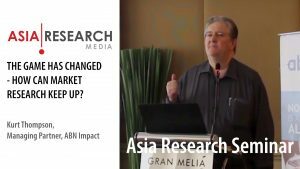 There is much to be excited about in the future of Asian mobile markets. The region is leading the way in ‘mobile-firstness’ (i.e. the use of a mobile as the primary way to access the internet), with India and Indonesia having the highest proportion of their populations turn exclusively to mobiles for internet access. This also has an impact on how long users spend on the internet. The latest Digital Future in Focus report from comScore shows that, on average, people will spend at least twice as long browsing the internet on their phones than on desktop computers. Therefore, increased mobile engagement is not just about more people using phones, but about using them for longer. Of course, this offers huge opportunities to all companies operating in the APAC region. With so many mobile users in Asia, there is also a significant move towards mobile finance and ecommerce. According to Charles Brewer, CEO of DHL eCommerce, “Exciting and developing new [ecommerce] markets like Southeast Asia … are set to take off in a big way and new technologies are likely to cause a huge shift in the way companies market their goods online.” For ecommerce companies working in Asia, then, the future of mobile is very bright.